BNP Paribas Real Estate is one of the leading international real estate providers, offers its clients a comprehensive range of services that span the entire real estate lifecycle: property development, transaction, consulting, valuation, property management and investment management. As regards the CEE Region, BNP Paribas Real Estate provides services in respect of Capital Markets, Property Management, Transaction, Consulting and Valuation. Furthermore, all departments are supported by the Research Team, which provides knowledge regarding real estate markets, thus enabling BNP Paribas Real Estate clients to make the most suitable long-term business decisions. BNP Paribas Real Estate has local expertise on a global scale through its presence in 36 countries with more than 180 offices and 3,900 employees. 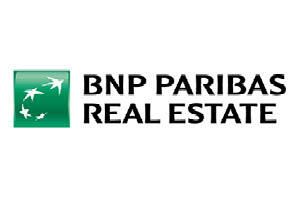 BNP Paribas Real Estate is a subsidiary of BNP Paribas Group.